Huh? Why doesn't Tom Cruise like that joke? Poor guy. I was just trying to illustrate a point and I've inadvertently created a hostile blogging environment! 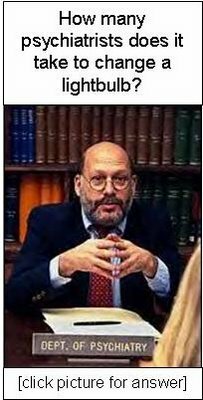 "An experience is a set of impressions formed by an individual based on a series of interactions with his or her environment." A little different from your typical dictionary definition. And dry as a set of old bones in the Sonoran desert. But this definition highlights the key components and challenges of experience design. First, all experiences happen in people's minds, and as we saw in our example (and as we know from our own experiences), you don't always know what's going on in my mind. But you can make some guesses based on what you already know about me, and through a series of interactions can form an ever-improving model of how my mind works. You could ask me a series of questions or observe me as I operate in a controlled environment. You could make some indirect guesses by asking or observing people like me (a focus group!). It's important to understand that designing experiences is a complex task, not a complicated one. [For a definition of the difference, go here.] You cannot control someone else's experience. You can only influence it. Two of these factors contributed to people not liking our joke. 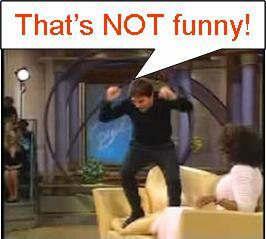 For Cruise, Scientology's long antagonistic relationship with psychiatry made the joke culturally intolerable. 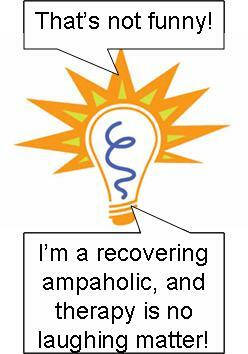 For the ampaholic light bulb, previous experience ruined the joke. Your mind's orientation processes are very complex, in most cases subconscious, and they run massively in parallel. Think about the example joke. Why is it funny? 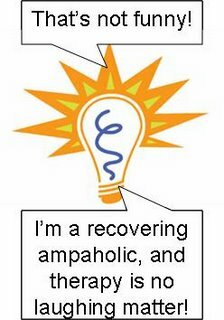 Because the setup line implies that "change a lightbulb" means "unscrew and replace a lightbulb", but the punchline fires off a match on the "change means heal" pattern in our head. 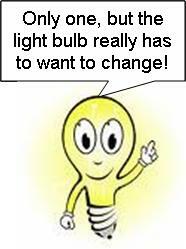 That reframing of the phrase "change a lightbulb" makes us laugh. Experience design is about creating a series of interactions that fire the patterns of orientation that create the impressions we want the experiencer to form. What a mouthful! In the next post, we'll look at a game designer's model for doing just that. It's Official - I'm an SOB! Why Can't I Control My Feet? The Awesome Destructive Power of "Them"